Automaker BMW has cut its earnings guidance for 2018 citing, among other factors, pressure from trade “conflicts” that are “distorting demand more than anticipated and leading to pricing pressure in several automotive markets”. 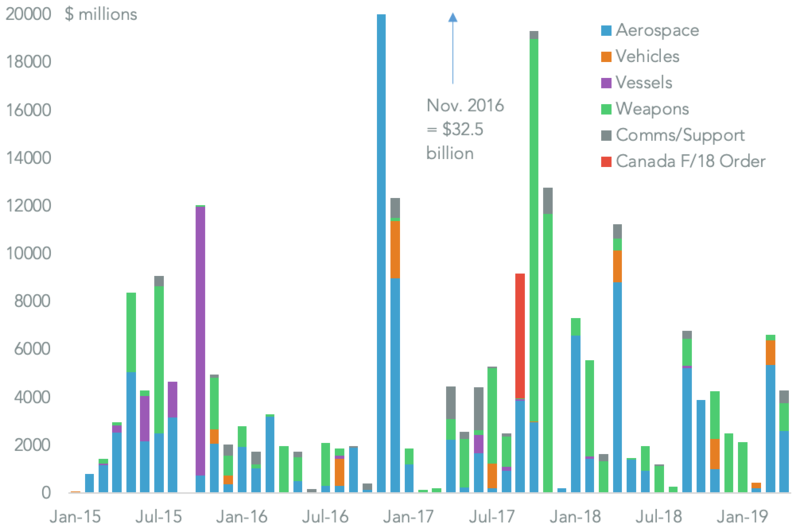 That followed an earlier attempt by BMW to increase prices by 7% for its X-series vehicle in response to Chinese duties, as outlined in Panjiva research of July 30. One, extreme, option for BMW to avoid Chinese duties on U.S. exports of its SUVs would be to shift production to another country. 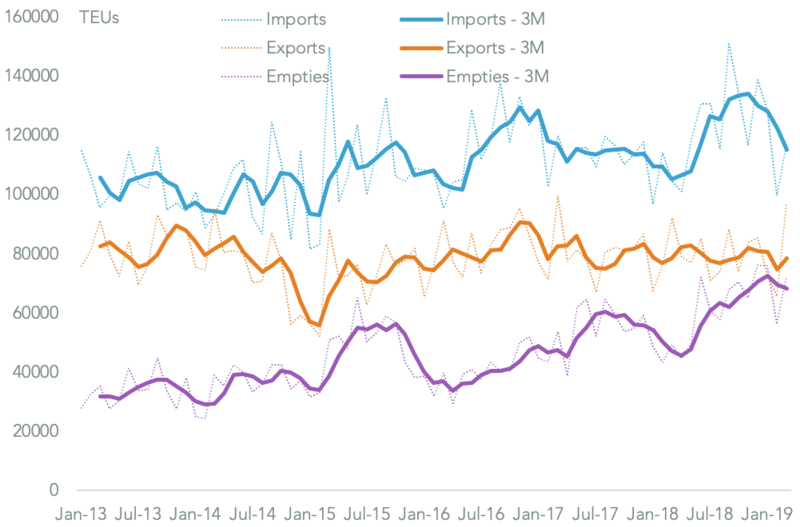 Panjiva data shows the U.S. accounted for 19.6% of its $13.7 billion of Chinese imports in the 12 months to March 31, with mid-sized engine cars (HS 8703.23) accounting for 94.6% of the total. BMW will likely need to cut prices to maintain volumes. 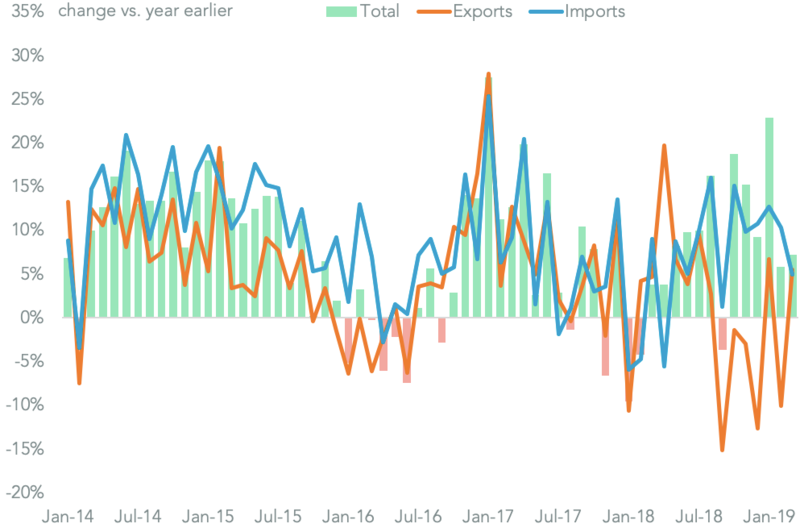 Total U.S. exports of passenger vehicles to China fell 2.6% in the three months to July 31 on a year earlier and by 9.8% sequentially. 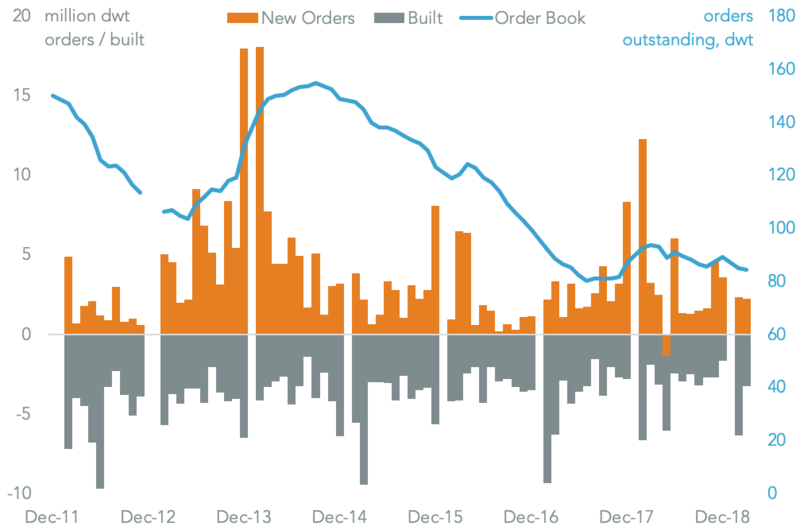 That left the number of vehicles shipped in the past three months at the lowest since August 2012. 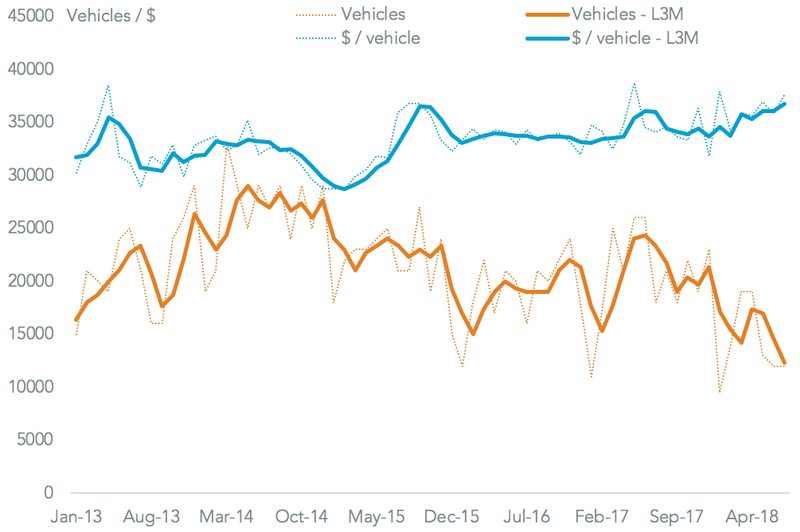 That came at the same time that the average value per vehicle increased by 2.7% on a year earlier (including by 10.2% in July) and by 4.3% sequentially. One solution that to offsetting lower achieved prices is to try and cut component costs – i.e. pass the tariff pressure “upstream”. 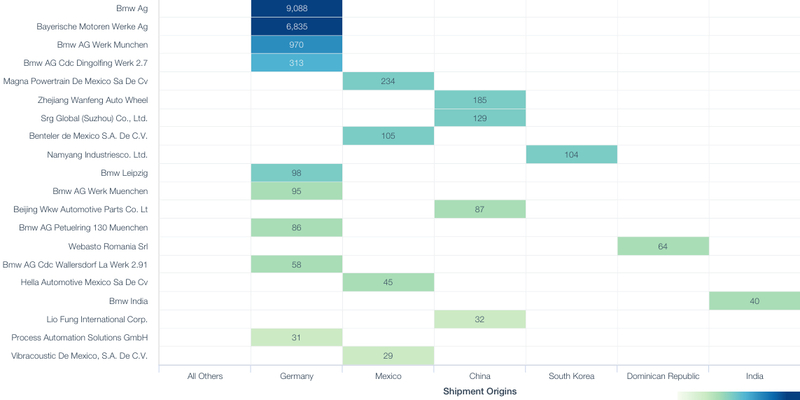 Significant shippers of products to BMW in the U.S. include Magna Powertrain (234 TEUs from Mexico) and Hella (46 TEUs of lighting) though the majority of the company’s shipments are parts and “knockdown” components from its factories in Germany. It faces further tariff challenges in its upstream supply chain though. Imports from Chinese suppliers including Zhejiang Wangfeng Auto Wheel and SRG will prove particularly problematic given the U.S. government has applied duties on automotive parts from China. More broadly of course BMW’s parts imports to the U.S. may fall foul of the ongoing section 232 review of the automotive industry.